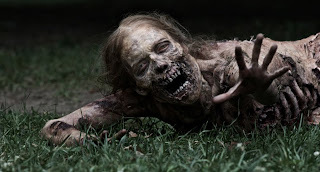 From the set of AMC's The Walking Dead comes this video of the making of the first zombie Rick comes into contact with; "Bicycle Girl" (I knew it was her!). Antway, this video shows the transformation from lovely actress to undead flesh-eater. Enjoy!